You’ve got this baby! You think it and it arrives! Struggling to make things really happen? Feeling like you've been pushing a brick wall? This little genie of a candle is designed to grant you some AMAZING wishes!! Sometimes it just takes one little thing to push you into feeling like you have a better foothold in life. Be it a push of money your way, a promotion or raise, a new job or THE dream job, or even just a good day after a string of really upsetting ones, this gives you a boost in the right direction especially if you have a plan on why you want these things. 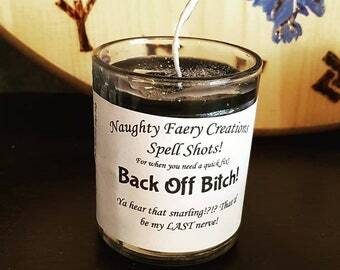 This candle is not for the greedy, ask for too much and it simply will not work, show the spirits that you have a plan and things will most likely flow smoothly. 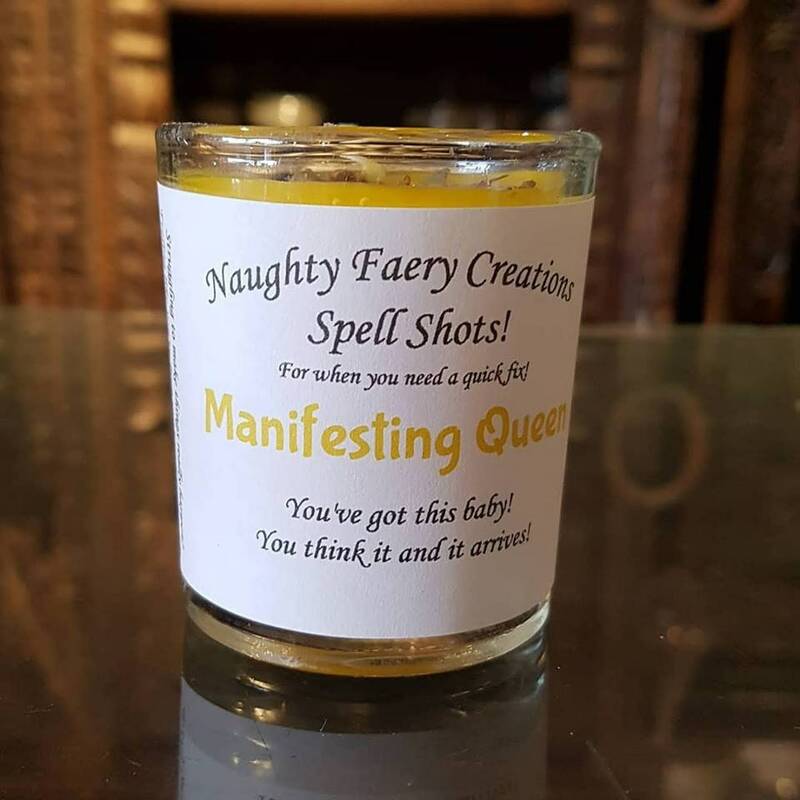 With a lightening bolt of an oil blend of Blood Orange for calling in outside, energetic help, Honey, to attract and entice helpful spirits, and Bitter Almond for manifestation, along with being topped by Dittany of Crete and Grains of Paradise, a powerhouse of herbs I’ve often used in Manifestation spells, you’ll be surprised at how sweet this successful blend can be.